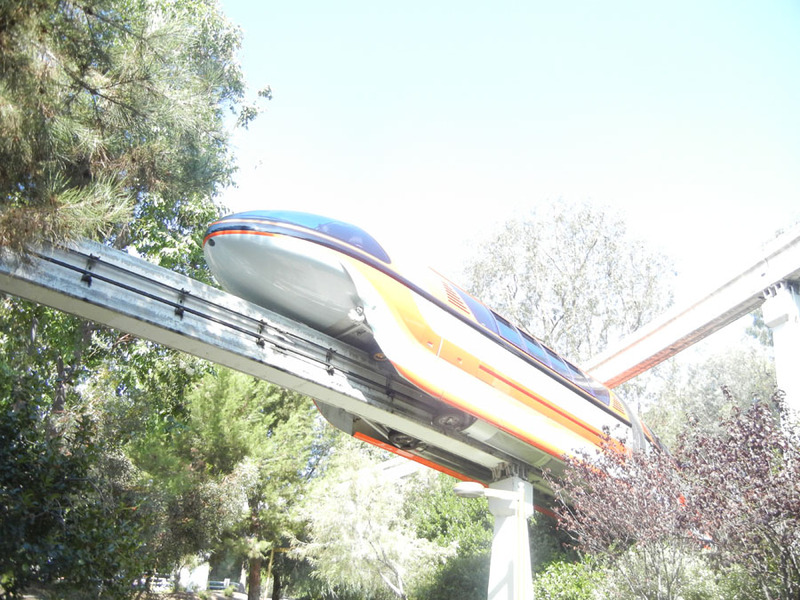 The Monorail is more than a thrill ride, it functions as a true transportation system into and out of Disneyland. It is a sharp looking vehicle, which uses wheels to pinch a single rail of concrete. 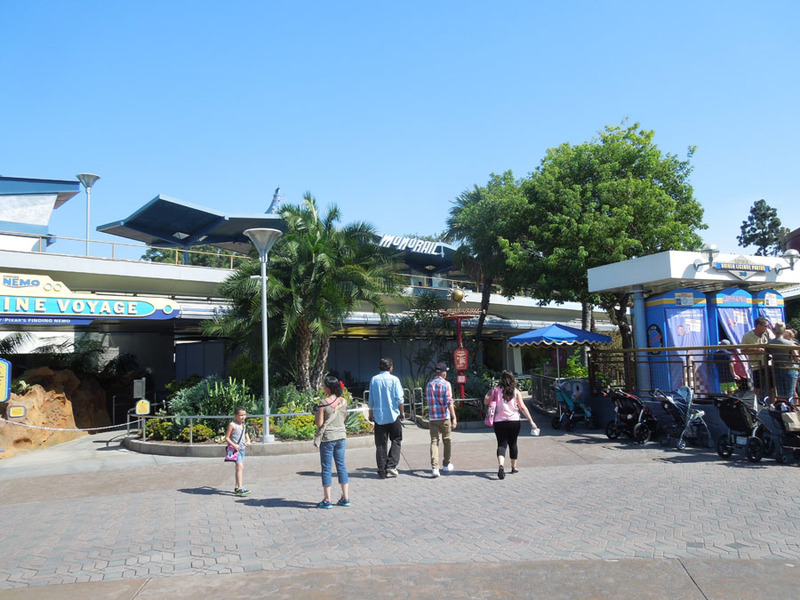 The Tomorrowland monorail station is attached to the top of the Submarine Voyage ride building. 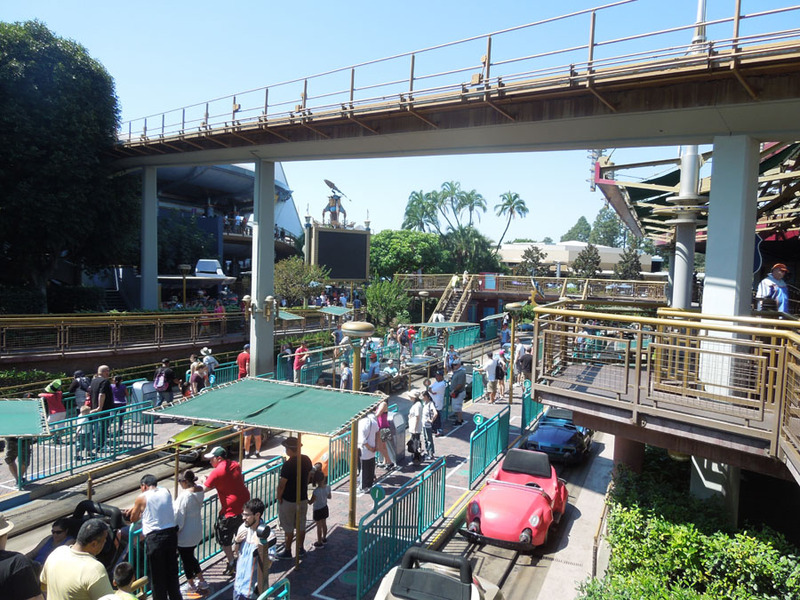 The trains travel through several other ride arenas. 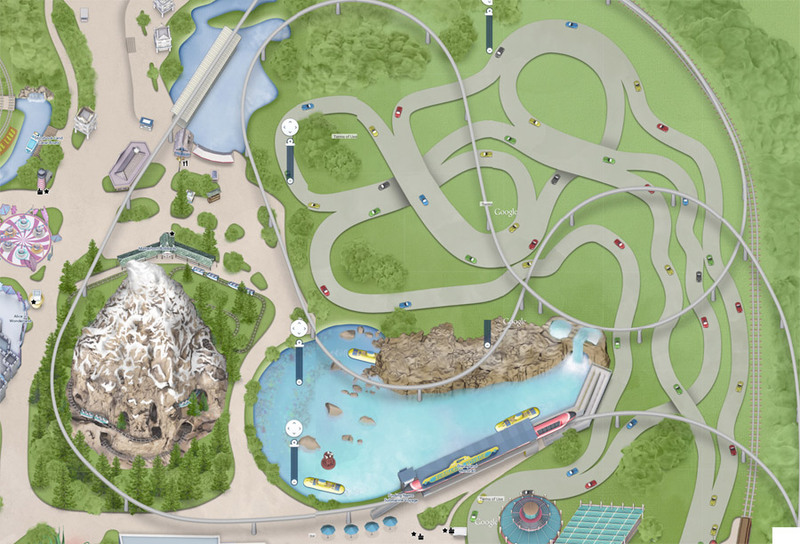 The red monorail train can be seen travelling over the Submarine lagoon in the photo above. 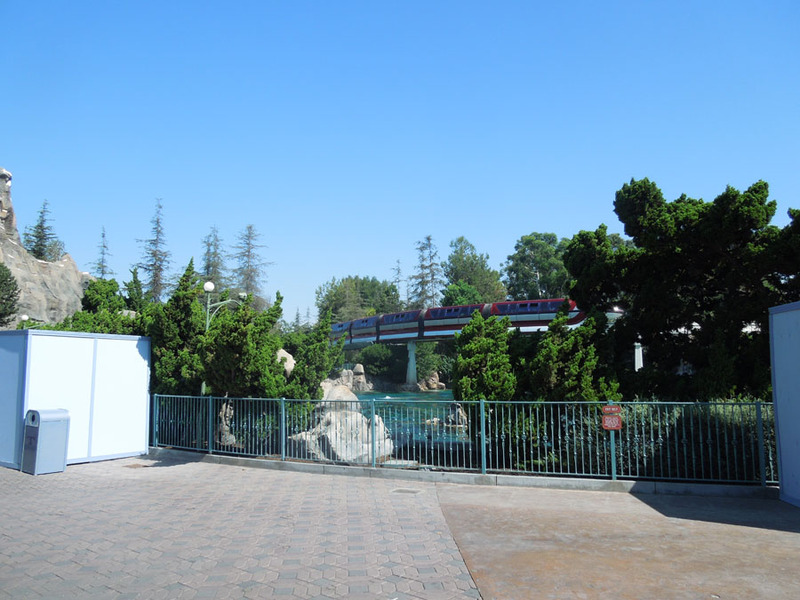 The monorail tracks are incredibly tall at some places in Disneyland, supported by thin columns of concrete, for a very streamlined appearance.